Cupcakes!! Photo by Danielle Here’s the finished product of cupcakes we made yesterday. Yum! The theme of my week seems to be this: Many of our mundane and everyday activities can be acts of worship that bring God pleasure. 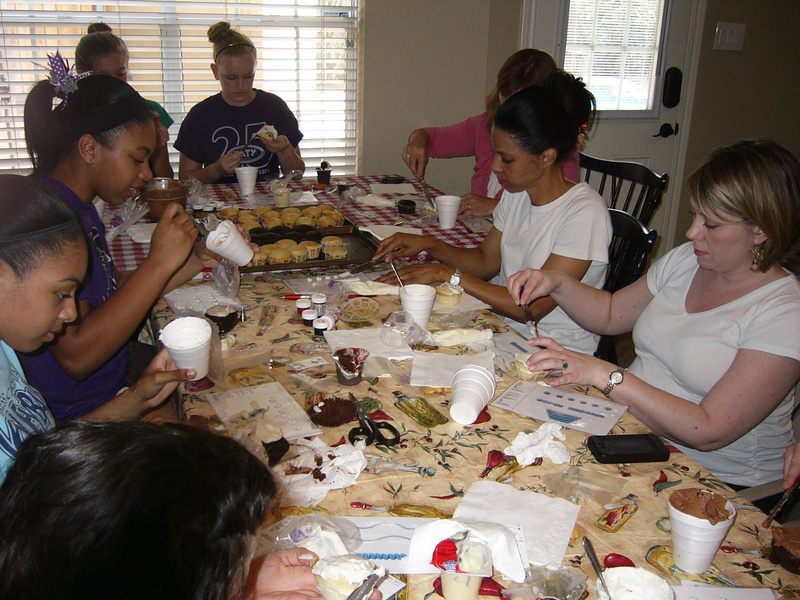 We got to experience this when a great group of ladies and teenaged girls came over for a cupcake/cake decorating class fundraiser for our upcoming mission trip to Kenya. 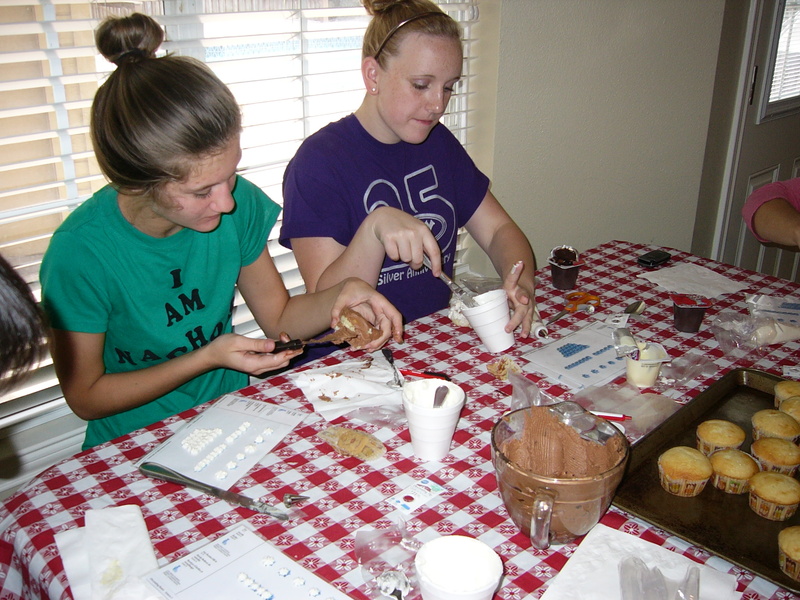 Look at these girls getting their icing on! It was fun learning some basic cake decorating techniques. If you are into cake decorating, you know that it only takes a few basic tools to get started and get many different beautiful effects on your cakes and cupcakes. But that’s not the best part! Each person that attended the two-hour class generously gave a donation for our trip. We are now a couple hundred dollars closer to our goal to pay for the mission. Here’s how it all started: Danielle, our fourteen-year-old daughter, has been telling us for months that she feels God wants her to go to Africa this year for a mission trip. We had planned to go to Nigeria in May, but due to terrorism and violence aimed at Christians, it was cancelled, and we were devastated. I’m not exaggerating; we were both pretty heartbroken. We began asking God to lead us wherever He wanted us to go. Meanwhile, Danielle began learning to play acoustic guitar and got a sudden fixation with wanting a ukulele so she could learn to play that, too. I’m not one to run out and buy new musical instruments on a whim, so she stuck with guitar for a while. Last month when I was chatting on the phone with a friend, she told me her parents are leading a trip to Kenya this summer. The plan is to bring 100 ukuleles to an orphanage in the slums of Nairobi and teach the children how to play their new instruments. I had a surreal moment as she said the last statement. It felt like a dream or slow-motion video in my head. I think I shouted, “What?! Are you KIDDING me?! Africa? UKULELES? !” This is not only what we’d been praying for, but the desire to play ukulele, of all instruments, was already in Danielle’s heart. 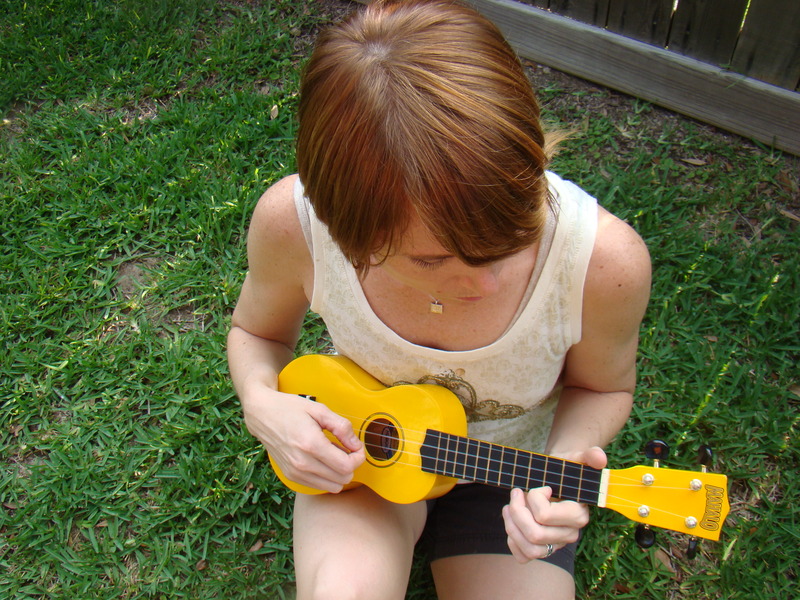 We are now learning to play ukulele and so excited about our trip that we can hardly stand it! P.S. We love Africa and have a longing to care for orphans. This is perfect because it just so happens that my daughter and I love music, too. Danielle fills icing bag. It almost makes my mouth water! 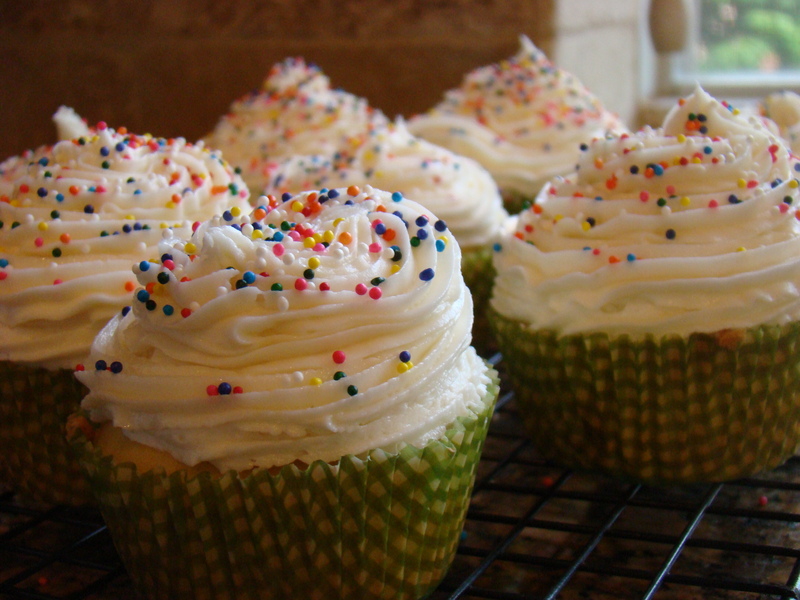 Who doesn’t love cupcakes? 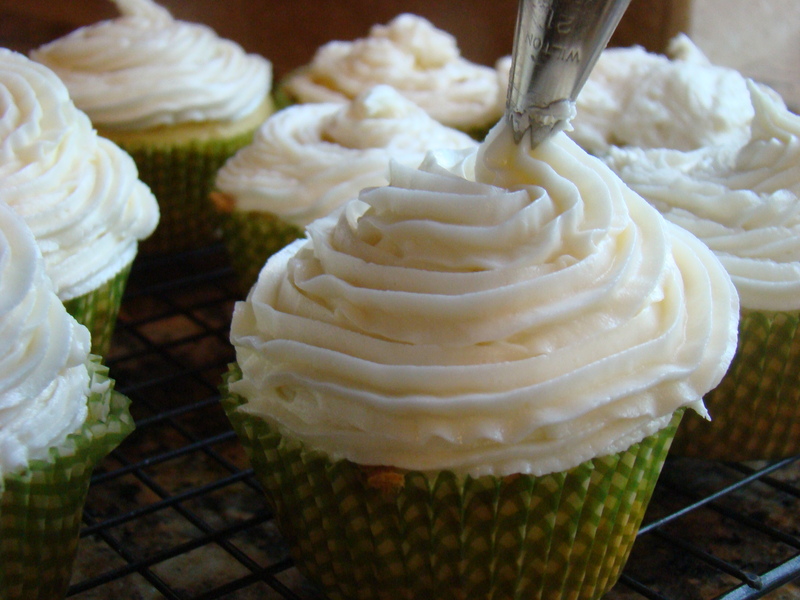 All you need is a star tip and icing bag for them to be this pretty. Danielle took this pic while I iced. Doesn’t she have mad photography skills? For as long as I can remember, I have struggled with fear. As a believer and Christ-follower, there has been little exception. Fear of the unknown, fear of losing a loved one, fear of going to sleep, fear of what others think….the list goes on and on. Even when I was a teenager, I remember having a sudden onset of fear. Often times this heavy cloud of fear would settle over me out of nowhere, causing me such strong emotion, that I wouldn’t be able to stop crying. Since becoming a Christian 13 years ago, the fears that have plagued me have been more subtle, sometimes masquerading as concerns or worldly wisdom. 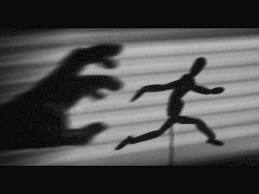 Sometimes fear will come cunningly, beginning as a subtle feeling of dread that will grow when I don’t actively squash it. Fear or dread of something bad happening. Has it plagued you? We are planning a mission overseas later this spring. I was tentative about it at first, even fearful. I talked to my husband, Herschel about it. His advice was surprising but good. He told me that he prays nothing bad would happen. BUT, if it does, he can’t think of a better way to go, than to be obedient to God’s call on your life. This was underscored as I’ve gone through some medical tests over the past month. The results have been inconclusive so far, but the idea that I could have a debilitating disease has caused a surprising response from deep within me! Normally, medical tests like these would paralyze me with fear and dread of the unknown. I would mentally obsess on what might happen. How I might suffer, what if my family suffers, etc. Instead, something wonderful has happened. Not that I will take stupid risks because I am not looking to be a martyr. 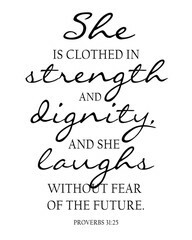 I only want to live a life of freedom from fear, and full of love for my Savior. Interestingly, Jesus says almost the same thing earlier in gospel of Matthew, chapter 10. Maybe he said it twice so we’d hear it.